The Plight of the Poor in the U.S.
Well, I’m someone who has definitely done a fair bit of reading hagiographic paeans to our church leaders over the decades. I’ve also read plenty of books by folks who have beef with the church such as Dan Vogel, Quinn, etc. So I’m pretty good with variety. However, this book bothered me. I have no issues with the scholarship or the credentials of the author. I just didn’t care for the tone or the presentation. I’m sure other peoples’ mileage will differ, but I did not like this book and I am eager for additional, future biographies to delve more into Brigham’s intellectual and theological capacities, which are far greater than he gets credit for. Nice to see that recognized. Revised edition, perhaps. I too would love to see Young’s theology explored a bit more. Just catching up on blogs now, but I thought I try still to add to the discussion here. 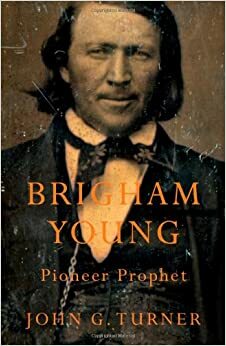 John made it quite clear in our private conversations that this question, “why did people follow Brigham Young?” Is the question that has most come up in conversations about the book with his readership. I do look forward to any updates, if he decides to do them.